Dood, you're doin' it right. Fangtastic. Have a fabulous Friday. Nice slurpy!! As Bob Hope sang, "Fangs For The Memories" ! You could make this a combo with tongue out Tuesday! dood...ewe IZ doin it rite !! We're loving that photo.. Just enough drama and a little mystery too. Oh you're so so handsome! Hey we got our package today!! WOOHOO!!!! Those are some fangs, Faraday! So what tasted so good? 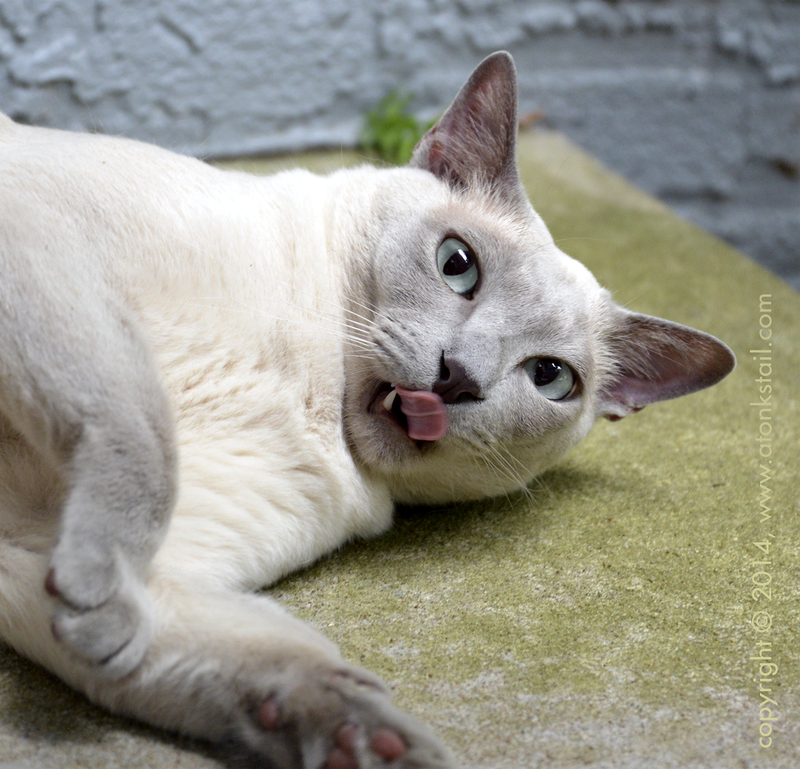 Mommy wants to know how we never snag our tongues, MOL! Faraday, you flash some serious fang! Be careful you don't cut your tongue on that fang, Faraday.